Q. 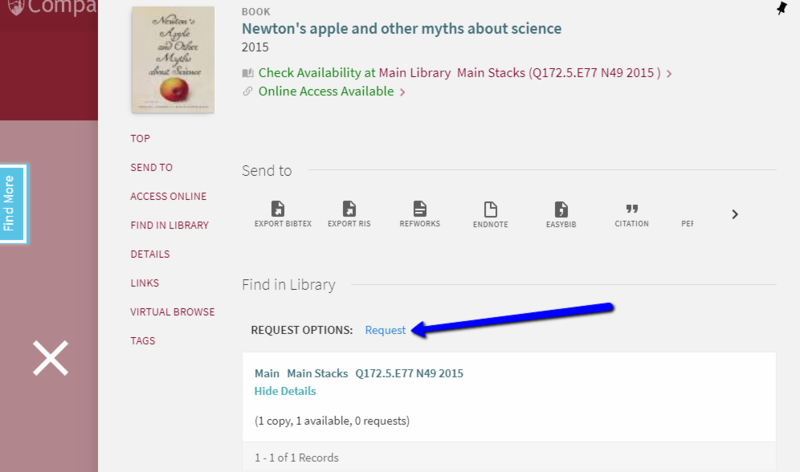 How do I request items from the library? 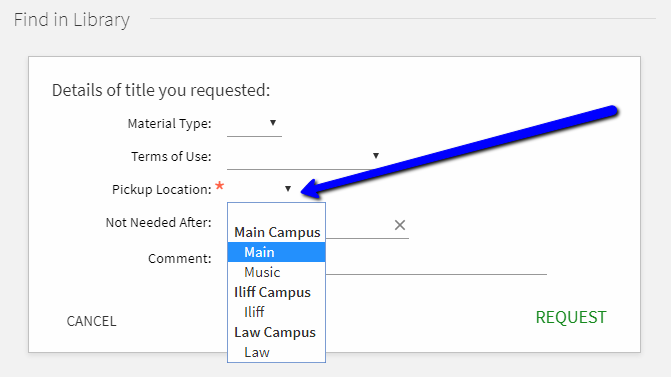 Follow these simple steps to request items from the Main Stacks in the Anderson Academic Commons, the Hampden Center, Law Library, or Music Library. Not enough time to look for a book in the stacks? Need a large number of books from different locations? Looking for a book from Hampden (our off-campus storage facility) or the Law or Music libraries? Use the item Request feature and we will retrieve your items for pickup at the University Libraries desk of your choosing! 1. Locate the item you want in Compass by searching within our catalog and clicking on its blue link to open up the item's full record. 2. This will bring up more details about the item. To request this book for pick-up, look under "Find in Library" for the Request link. 3. 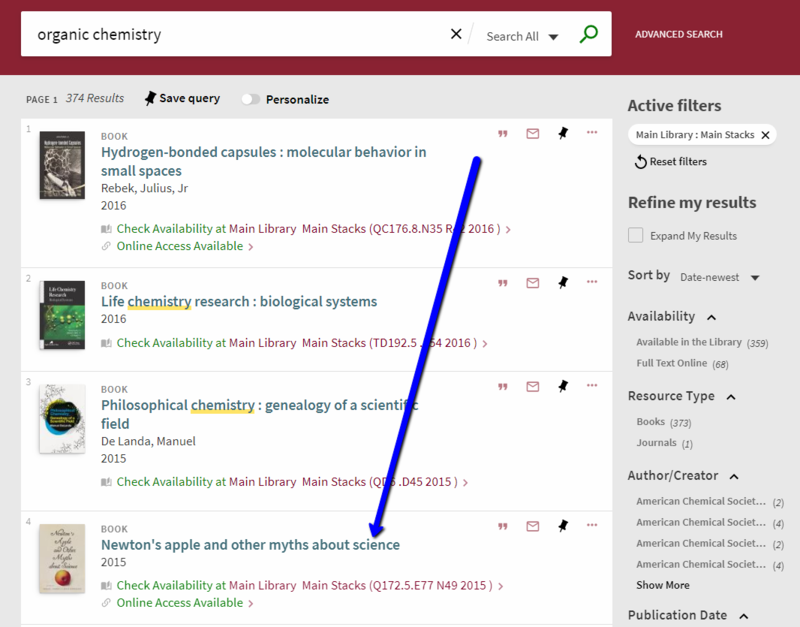 If you have not already signed in to your library account during your search session, a Request button will not appear; instead, you will see a yellow bar asking you to sign in. 4. 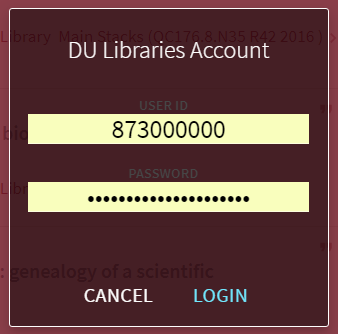 A University of Denver Sign-In dialog box will appear on your screen. Sign in using your DU ID and password (the same 87* number and password that you use to log-in to PioneerWeb). You will be returned to the record you were just viewing, and the Request button will appear for you to click on. 5. After clicking the Request link, fill out the brief Request details form (note: only the "Pickup location" is a necessary field) and then click the green Request button. Internal requests can take several hours on a business day, but are often delivered to the lending desk of your choice within the same day. Books requested from Hampden may be delivered same-day, but will usually not be reflected as available until the following business day. Either way, you will receive a notification according to your library account settings (default is DU email) when your item is ready to be picked up.